Gitanjali, Joe and Miia pick their favourite tunes of the week. A well good selection of music and chat guaranteed! Seonaid and Dan join Gitanjali, Dan and Miia for an hour in the studio featuring gems from around the world. Gitanjoemii spend an early summer afternoon playing their favourite summery and standardly excellent tunes, featuring bad chat. 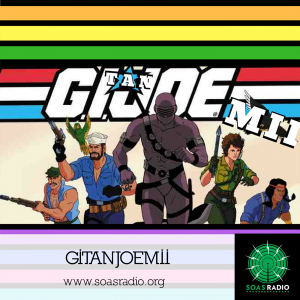 A well good selection of music, and rusty chat on SOAS Radio.